About a month ago a study was published by the Journal of the American College of Cardiology that looked at the effects of binge drinking in college students and whether it increased risk of cardiovascular disease. So, naturally, I was interested in what they had to say. First of all, let me tell you what the definition of “binge drinking” was for this particular article… because we should all know how we can self-identify with their findings right from the get-go. For men, binges are defined as five or more standard servings of alcohol in a 2-hour window… and for women it’s just four. So let’s just take a moment and realize that not a single one of us will ever fall into those ludicrous guidelines. So anyway they split the group in two (abstainers and bingers), and then looked at a bunch of indicators of cardiovascular health. They found that the groups had no differences in cholesterol or blood pressure, which are both obviously bad news bears for cardiovascular health. So that’s good. HOWEVER, the bingers did appear to have negative vascular effects specific to endothelial and smooth muscle cells. 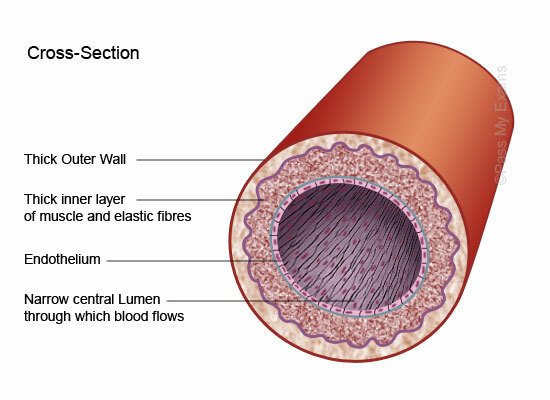 The endothelium is kind of like the skin inside your blood vessels, and the smooth muscle is what controls whether or not they’re contracting or relaxed. The bingers appear to have reduced function in these cell types. The cells in the middle parts are drunk, lazy, deadbeats. This is relevant for cardiovascular health because the ability to control blood pressure and all that fun stuff comes partly from these cell types being able to do their job. They suggest that this could put these young people at risk for cardiovascular disease later in life, but they admit that there would be more research necessary to determine whether these negative effects can be reversed before it’s too late. So, take home message – most of us are possibly going to die of failing vasculature because we partied too hard in our early 20’s. Go team!